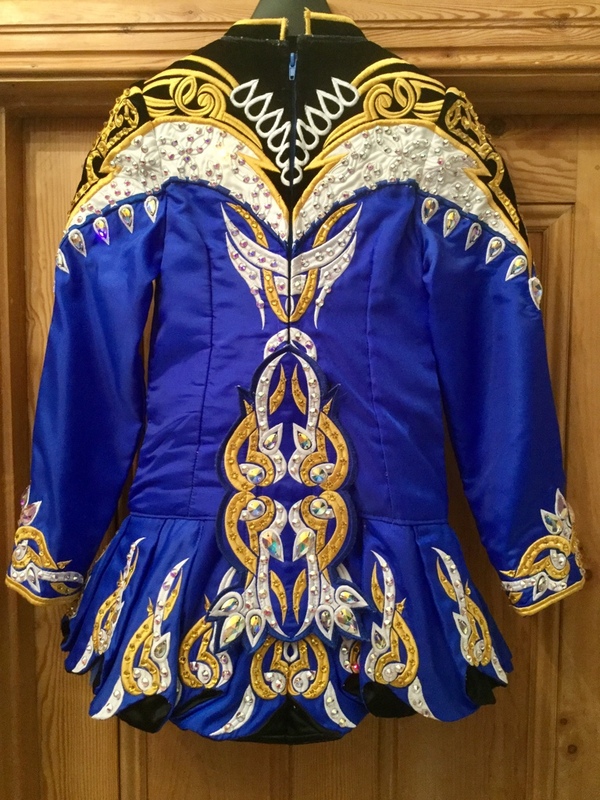 ‘Bluetiful’ Gavin Doherty, Eire Designs Championship dress. 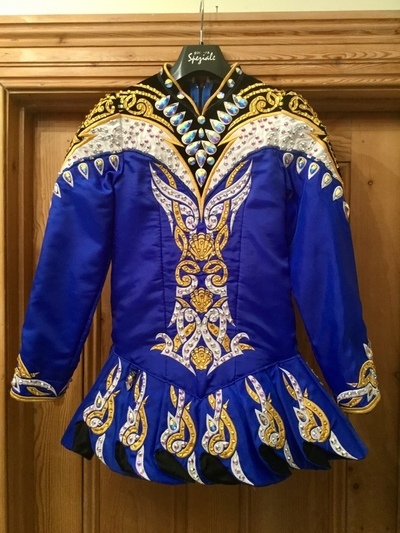 Current and very classy design worn by 11-12 year old (so may also suit 12-13yr age group). 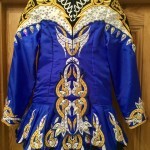 Very distinctive cobalt blue Twinkle satin with black velvet and white satin accents and gold embroidery. Fully stoned with Swarovski gems . Excellent condition – stored flat in a pet/smoke-free environment. Kick pants included. Measurements taken flat.